The 1993 edition of the British IPEX trade show is the most significant ever. At that event the first computer to plate or CtP system is shown as well as two digital presses. 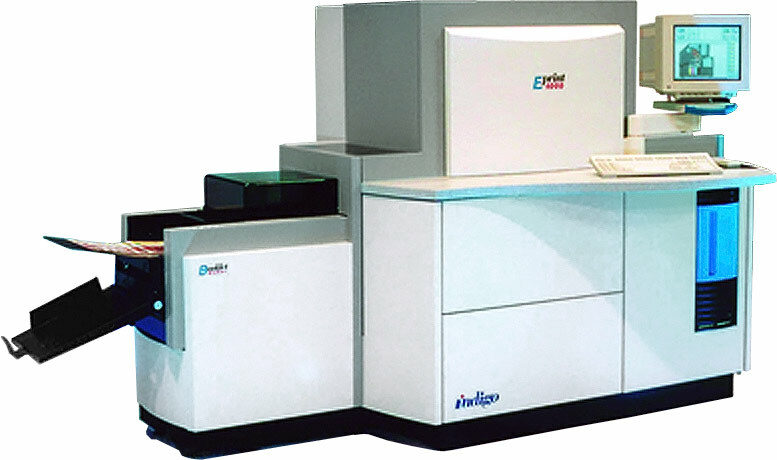 The Indigo E-Print 1000 is a sheetfed digital press that uses ElectroInk, a kind of fluid ink which in its first incarnation can actually be rubbed off the paper. The Indigo is the brainchild of Benny Landa, who had founded Indigo Digital Printing in 1977. 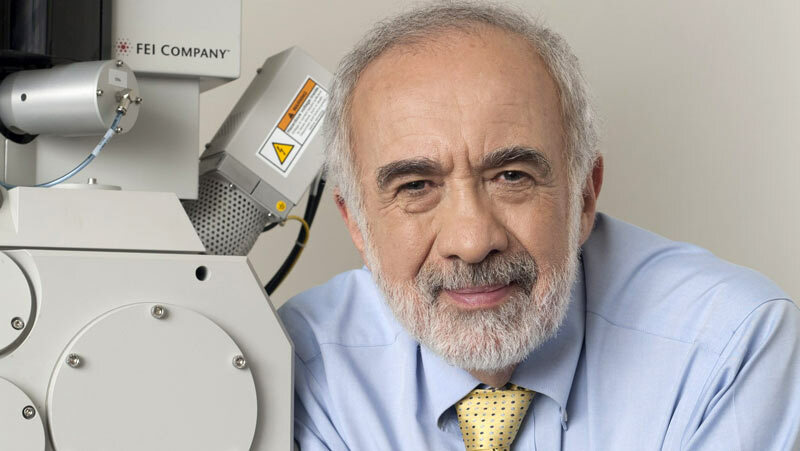 He will sell the company to Hewlett-Packard in 2002 and go on to establish The Landa Group, with the goal of building a new range of presses based on nanographic ink. The second digital press that is shown at IPEX is the Xeikon DCP-1, a web fed single-pass full color printer that uses toner. It runs 35 duplex A4 sheets per minute. The engine will also be sold by IBM and by Agfa, who market their machine as the Chromapress. I still remember the first delivery of a Chromapress to a Belgian customer. The press fell off the back of the lorry and was a total loss. Extensis is founded. They are most known for SuitCase, a font manager for both Macintosh and Windows. The ScanView ScanMate is a nice example of a new generation of small desktop drum scanners that hit the market. These devices are sometimes called baby drum scanners. Some of them use a photomultiplier while cheaper ones are based on a CCD optical element. Dainippon Screen launches the TaigaSPACE prepress workflow system. Its first desktop scanner, the DTS1015, was introduced a year before. The PowerPC processor is a joint development of Motorola, IBM and Apple. Apple will use in their Power Macintosh line of systems. It is also made available on an add-on card for the Macintosh Quadra machines. 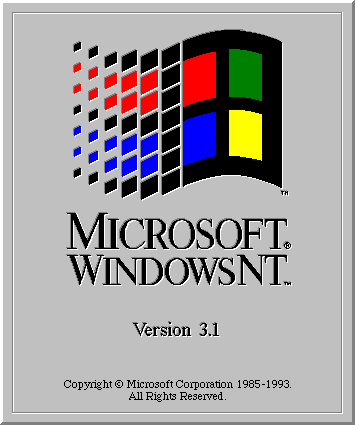 Microsoft ships Windows NT, a dedicated server operating system. Initially NT runs on multiple hardware platforms, including the Dec Alpha which is used by several vendors to run their RIP software. Agfa introduces CristalRaster, the first stochastic screening algorithm. The company doesn’t patent the technology and soon alternative solutions such as Linotype-Hell’s Diamond Screening or Barco’s Monet Screening appear. At a Fogra conference the Intercolor Consortium (ICC) is founded. 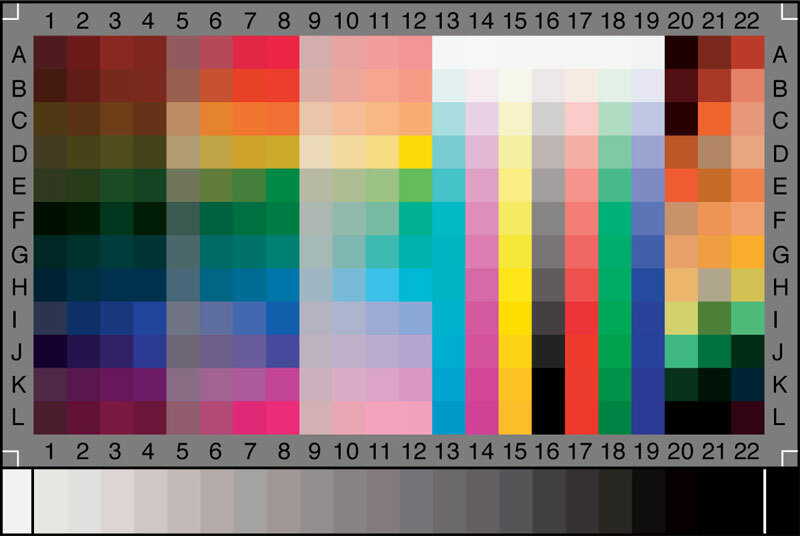 Its objectives are to share knowledge about color and develop standards for color management. A year later ICC adopts Apple’s ColorSync and launches version 2 of its ICC color profile format. IT8 test charts, such as the IT8.7/2 shown below, serve as targets to calibrate input devices such as scanners or printing processes. ADSL is developed at Bellcore. It will be one of the technologies to replace ISDN which a lot of prepress companies use to transfer files. Erik Van Blokland designs Kosmik for FontFont. David Koresh leads 74 people to death in the Waco, Texas massacre. The Maastricht Treaty creates the European Union. Twenty-two UN troops are killed in Somalia. A 13 year old boy accuses Michael Jackson of fondling him. There are 50 web servers active on the internet. The Apple Quadras did NOT have the PowerPC processor. They were Motorola 68040 chips, hence the “Quadra” moniker. You are right – I did have a PowerPC in my Quadra 700, but that was through an add-on board.